From Jack the Ripper to the FBI's Violent Criminal Apprehension Program (VICAP), The Encyclopedia of Serial Killers gives readers an exhaustive overview of what is undoubtedly the most macabre and fascinating branch of crime and modern criminology. 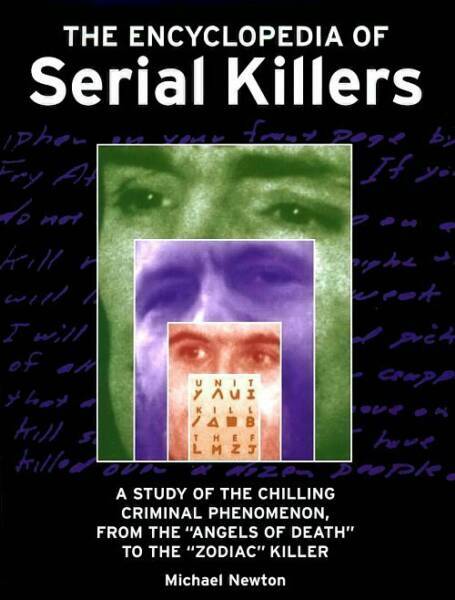 The book details individual cases of serial murder, law enforcement agents and their techniques, the factors that contribute to the development of a serial killer, and how society chooses to deal with and punish these vicious criminals. In-depth coverage is provided on the realities of serial murder versus popular myths depicted in film and television, key figures on both sides of the law, pivotal cases and events, and criminal activities that have shaped law enforcement responses. "...an excellent choice for public and academic libraries." 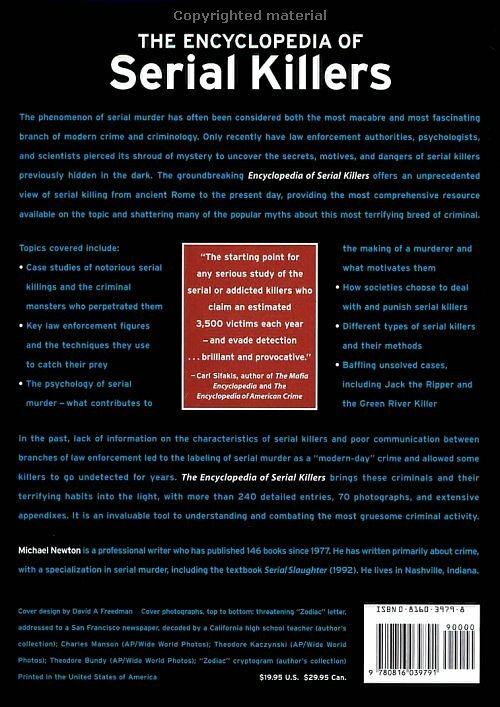 "...an absolute must for crime fiction writers ...well executed, entirely comprehensive..."